I love our dog and she is definitely a member of our family but I do wish she didn’t shed. I hate being out somewhere and looking down to see dog hair on my clothes. At that point, what do you do? Start picking the hairs one by one? I guess if it is just a hair or two that’s okay, but what it if is more than that? The rule in our house is that Jade (our dog) is not allowed on the furniture which helps eliminate some hair problems. However, there are times when I can tell that she doesn’t always follow that rule when we are away from the house. She’s tricky about it as she is very rarely still on the couch by the time that we get into the house. However, not only is there a warm spot on the couch but there is a distinctive section of dog hair. 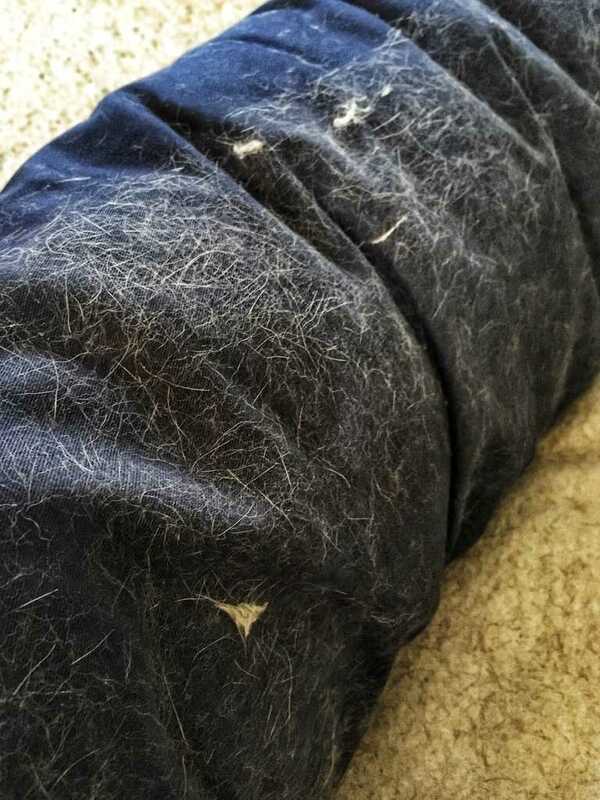 Her dog bed is always covered in dog hair as well. 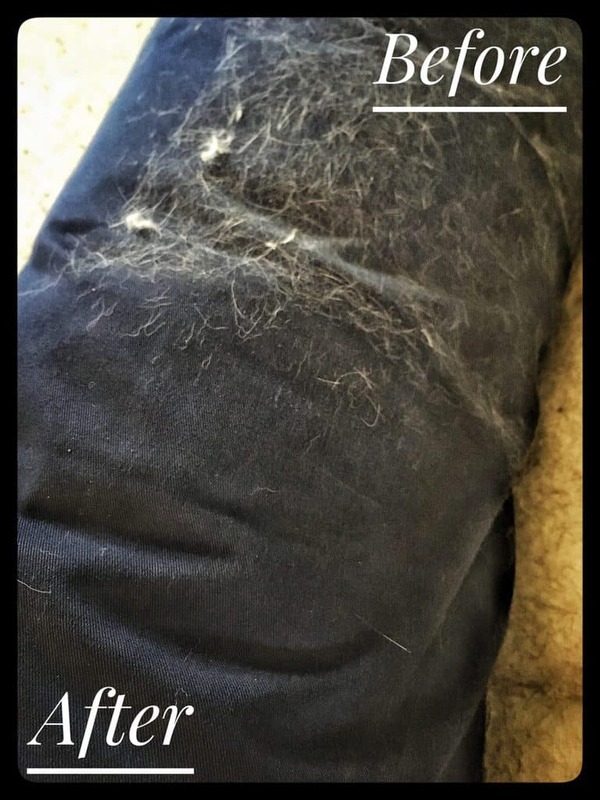 (This picture shows the area around the edge of her dog bed) In addition to the annoyance of dog hair, my husband is also allergic to dogs. I needed a dog hair remover. 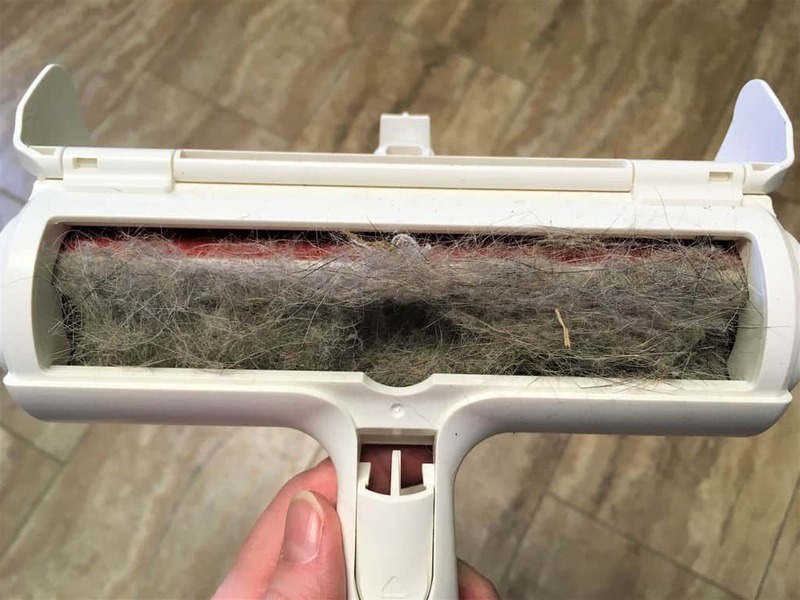 After a few weeks, I was tired of trying to vacuum the hair off the couch with mixed results. So off to the internet I go to see if I could find a pet hair remover. I really didn’t care what kind it was – brush, roller, electric – I just wanted it to work. I started on Amazon to see what I could find. I love Amazon because it usually has a lot of helpful reviews which in turn helps me decide. After searching through dozens of different products, I came across the ChomChom Roller. I decided to take a closer look and see if this would help with my pet hair problem. Here’s what I found. What Is the ChomChom Roller? 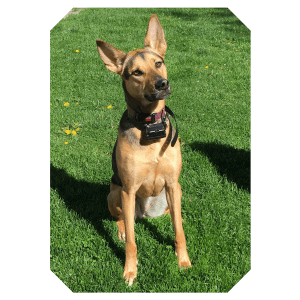 The description on the ChomChom Roller website states that it is an internationally patented device that picks up embedded pet hair in sofas, carpets, car seats, beds, curtains and more. It is a handheld pet remover roller that is 100% reusable. It has no adhesive or sticky tape and doesn’t require batteries or any other power source. I liked the idea that it didn’t require extra costs in batteries or rolls of sticky tape. So far so good. Next, how do I use it? By quickly moving the ChomChom Roller back and forth, it creates an electrostatic charge that attracts the hairs to the roller. It’s that simple, and it works! That was the claim, it sounded good and was relatively inexpensive so I went ahead and purchased it. When I read the directions on how to use the ChomChom Roller, it actually seemed too simple to work. Then I remembered the KISS idea – Keep It Simple Stupid. So maybe simple wasn’t a bad thing. So now I am sure you are wondering, how do you use it? Is it really that simple? Well, the directions said it just takes 3 easy steps so off I went to try it. Step 1: To remove the pet hair, simply roll the ChomChom Roller back and forth in short strokes across the pet hair you want to remove. This creates an electrostatic charge that attracts the pet hairs to the roller. Sounds too simple, doesn’t it? Step 3: Once you are over a garbage pail and have pressed on the compartment release button on the handle, simply turn the roller upside down and remove all the pet hair that you collected. That’s it, you are done. Simply repeat as many times as needed. So easy! Is the ChomChom Roller the World’s Best Pet Hair Remover? On the ChomChom Roller product packaging and website, it says “World’s Best Pet Hair Remover”, but is it? Short answer? It just may be. 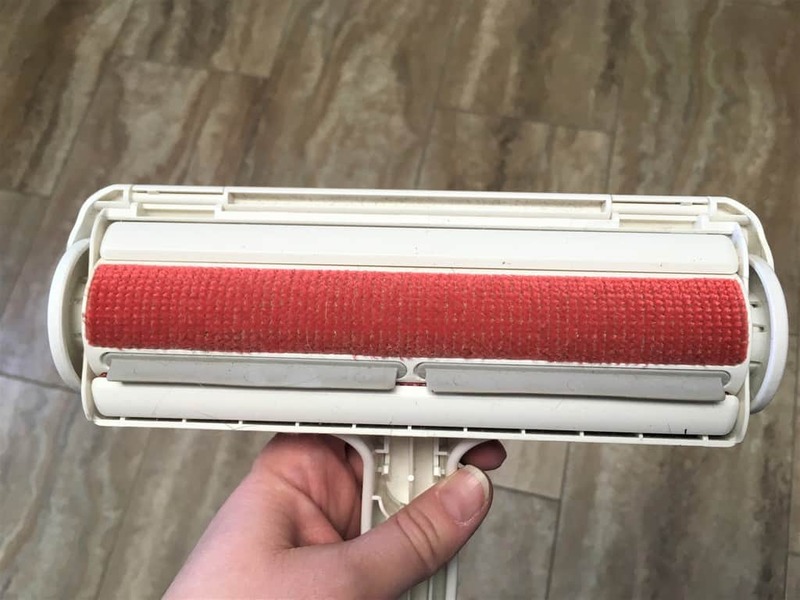 I have used our ChomChom Roller on our microfiber couch, chairs, cotton dog bed, carpets, bed comforters and more. It really takes only a few minutes to use, very little effort and it works great! You will notice that the top section of this picture still has the dog hair but I used the ChomChom Roller on the bottom section. Notice the difference? This took only a couple seconds to do. A couple things to think about when deciding if you want to purchase this roller. I tried to use it on our truck seats and carpet but, unfortunately, I struggled with having it pick up Jade’s hair. That being said, some Amazon reviewers have had great success using it in their vehicle so I might give it another shot. Also, keep in mind that whatever you are rolling needs to be somewhat taut. For example, the microfiber material on our couch cushions is a little loose. So when rolling the ChomChom roller, I sometimes need to use my left hand to hold the material tight and roll with my right hand. 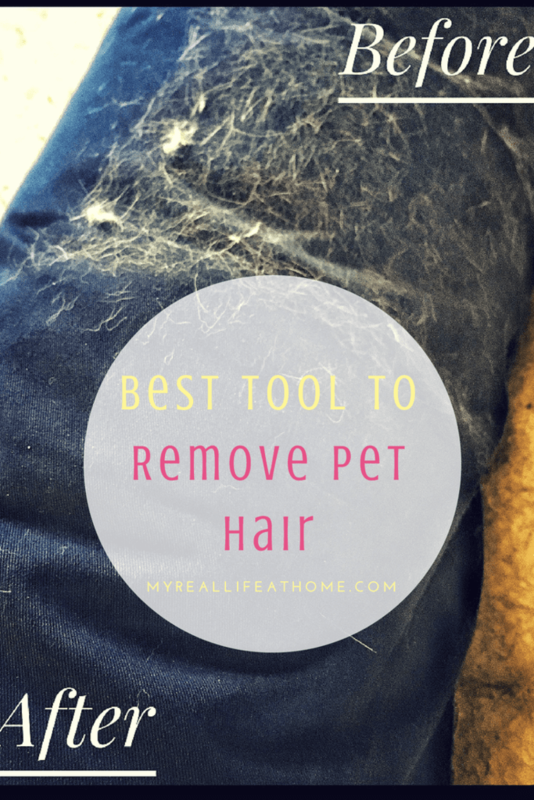 If you are like me and struggle with having pet hair (dog hair or cat hair) overtaking your home, this is a great tool to consider purchasing. I would definitely purchase my ChomChom Roller over again. 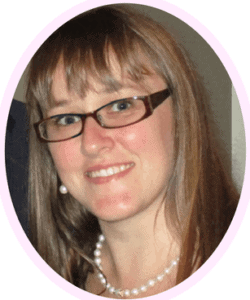 It takes very little time to use and it is so easy to control that your kids could do it. It’s a reasonable price and like I mentioned before, there are no sticky tape refills or batteries to purchase so the price point doesn’t increase. I also love that it’s small enough to store in a drawer out of sight. 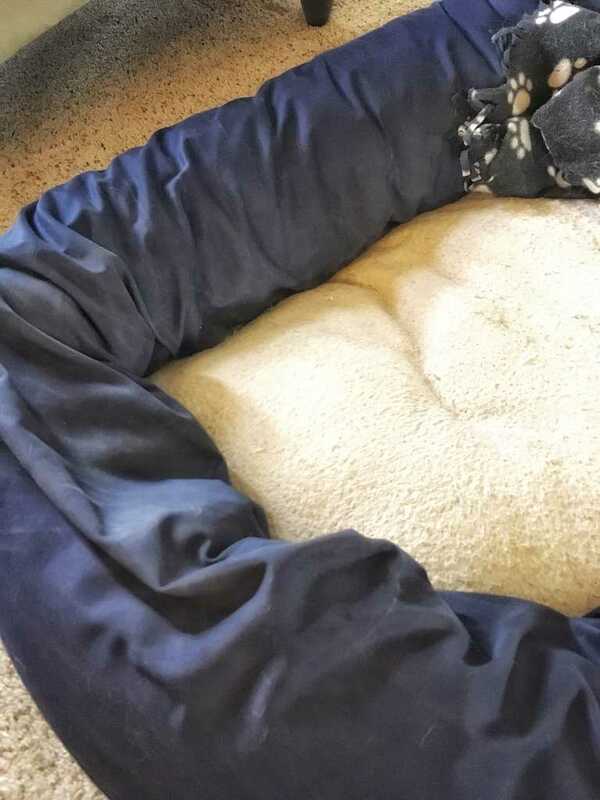 I can now remove the hair from her dog bed (and other areas) quickly and easily and it looks great! Well, at least until the next time she lays in her bed. Finally, I am not the only one who thinks it is a great product. 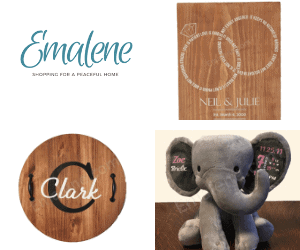 It currently rates 4.7 out of 5 stars on Amazon with over 1600 reviews. 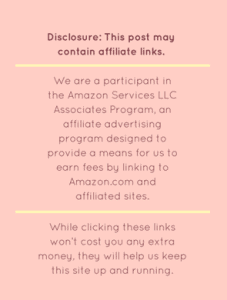 For additional pictures, as well as some questions and answers, visit Amazon if you want to further investigate the roller. Dog hair something I can’t stand all over the house. Finding a good roller is very important to keeping everything clean. I had tried a couple different pet hair removers but the ChomChom definitely works the best. It’s amazing the places I find dog hair in our house. 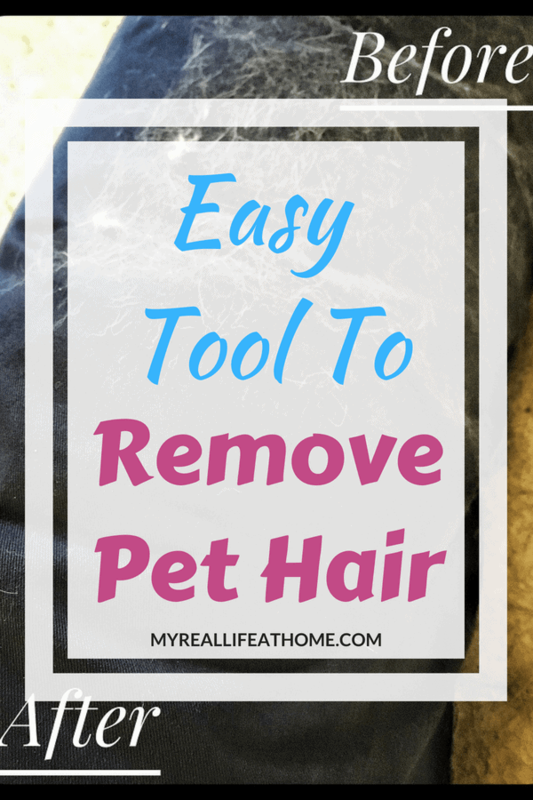 I was really thankful to find a pet hair remover that works! Perfect timing! I’ve been struggling with my labrador’s hair that has decided to go all over the house. I’m going to give this a try. I would love to know if the ChomChom Roller works as well for you as it does for us. Sneaky dog, ha, ha! Ours does the same thing! Fortunately, she prefers being outdoors and spends most of her time outside. Still, though, I need a good pet hair remover. This one looks great! Ours does enjoy being outside as well thankfully as rolling around removes some of her hair. You would think more of it shed outside but she somehow saves it for her dog bed. Hence, the need for a pet hair remover!